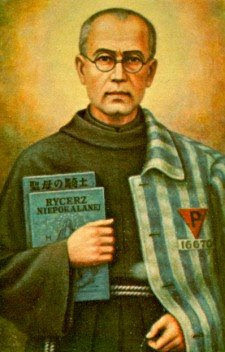 Over sixty years later, we remember this kind and courageous Christian because his witness for Jesus Christ remains a brilliant light for all who seek to be faithful disciples. From the beginning, Christians have studied the lives of those who have died for their faith, whose example provides courage and hope for faithful living, especially in times of duress. 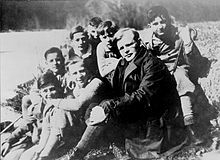 Dietrich Bonhoeffer lives in that great company of Christian martyrs; by recalling his life, we gain fresh strength in our efforts to be faithful witnesses for Jesus Christ. Our Gospel selection has Jesus turning to the question of his real identity. Jesus and the disciples arrive in "the district of Caesarea Philippi." So one day he says to his disciples, "Guess who?" His actual question was, "Who do people say that I am?" What's the buzz about me right now? The answers given by the disciples are all connected to the prophets, even though most Jewish teachers at the time believed that authentic prophecy had ceased. Still, there was some expectation of a return of the prophets at the end time, particularly Elijah. Some thought that John the Baptist was an Elijah figure, but when John was executed by Herod Antipas, they began to transfer that idea to Jesus. Many of Jesus' miracles had seemed to mirror those of Elijah -- raising the dead being the most prominent. When Jesus announced God's judgment on unrepentant cities and downplayed the central role of the temple, he sounded a lot like the prophet Jeremiah. But those closest to Jesus began to suspect there was more to him than that. Jesus was more than a prophet; in fact, he was the One for whom they had been waiting. 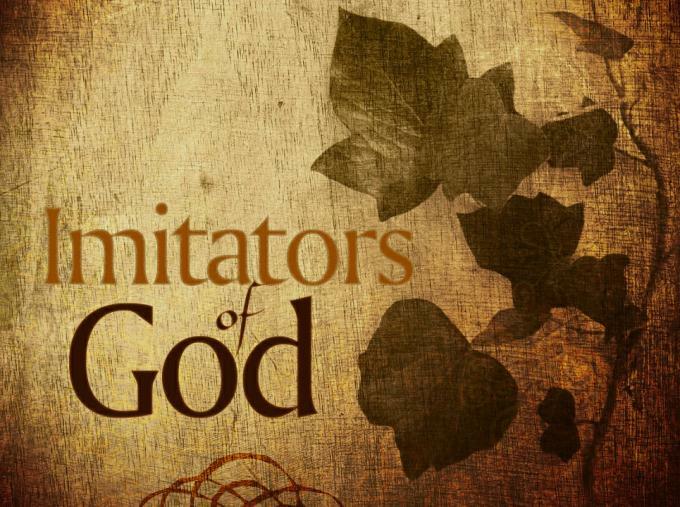 When Jesus asks his disciples the pointed question, "But who do you say that I am?" , it's a question that will not only define who he is but also define the identity of his followers. Simon Peter answers with confidence, "You are the Messiah, the Son of the living God." Simon has examined the evidence and concluded that Jesus is the real deal. Here at Founder's Hollow last week 26 Marianist high school young men took the opportunity to enjoy the silence at our summer retreat. We know that quiet is necessary for us to know who we are and who God is. This summer retreat allowed us to withdraw from the busyness of summer in order to reflect on and deepen our relationship with God. 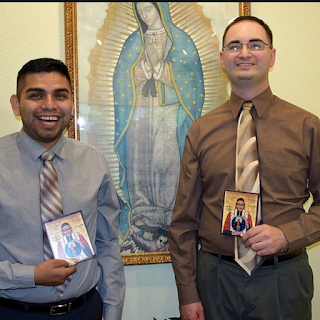 We celebrated on August 22nd a great Marianist feast, the Queenship of Mary. 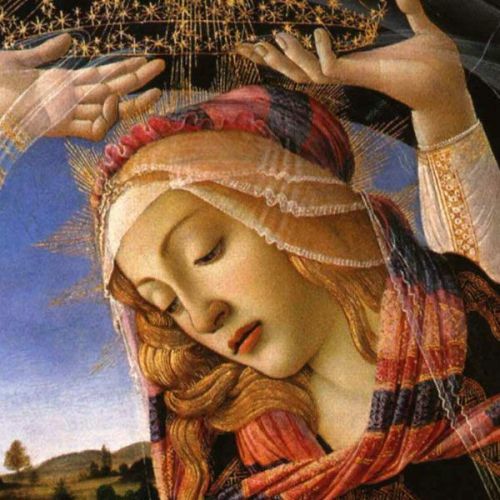 Mary's name means "beloved" or "cherished." In Hebrew, however, her name has a different meaning. The Hebrew word miryam, from which "Mary" comes, means "rebellion." That may sound cute as the name of an infant, but hardly the name you want for a child in their terrible twos or teens. In a sense, Mary needs both of those qualities for the work to which she is called. 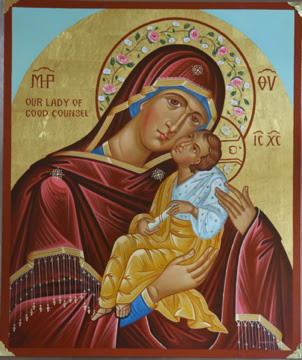 She is the beloved one, cherished of God, who is selected to carry and give birth to the Messiah. When the angel Gabriel first appears to her to tell her about her role in the Christmas story, he calls her "favored one." On the other hand, that rebellious streak -- the ability to follow her inner voice when others might try to convince her to behave differently -- will come in handy throughout her pregnancy. Her courage allows her to travel to Elizabeth and Zechariah's when the angel tells her to go. It sustains her through her and Joseph's journey to Bethlehem and Jesus' birth out in a stable. Most importantly, her rebellious nature gives her the ability to say yes to being used by God in this way when she knows the consequences could be dire. We need to be more like Mary, rebelliously courageous because we know we are loved by God. Our second reading for this Sunday focuses on the English word “irrevocable.” The word appears nowhere else in Scripture but here in verse 29. On one hand, the Scriptures acknowledge that seasons of blessing may be temporary. Rains come and go. Crops boom and bust. Riches can be transient. Perhaps parents can best understand the heart which grants mercy in response to disobedience. It is a heart of love ... despite. A heart that longs for relationship over punishment. A heart that puts more stock in the future than in the past. And that is good news for the world. Things may not seem to be working out as planned. Doesn’t mean that God is giving up on commitments made, promises offered. It's not too late to begin to prepare for the Twentieth Sunday in Ordinary Time by taking a good look at the readings. 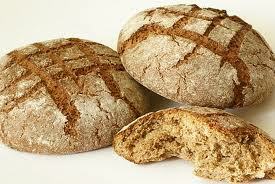 The Gospel reading for the day picture the disciples with curmudgeonly attitudes. They continue acting cranky and obstreperous as they encounter the Canaanite woman. This Gentile woman meets Jesus and his followers on her home turf, the district of Tyre and Sidon, and immediately accosts them and cries out, "Have mercy on me, Lord, Son of David; my daughter is tormented by a demon." Jesus does not reply at all, and the disciples sense from his silence that he is blowing her off. So, ramping up their excitement and nastiness, they call out, "Send her away, for she keeps shouting after us." It's like the disciples are saying, "Hey, lady! Curb your enthusiasm." 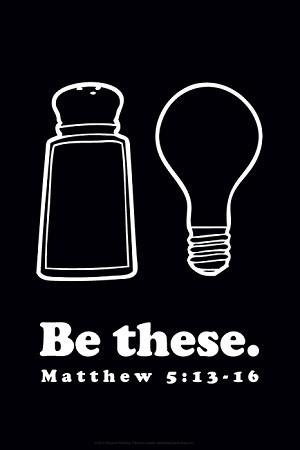 The disciples' hearts are in the right place, but their enthusiasm is just a bit overwhelming. These 12 see themselves as the chosen few, the cream of the crop, the entitled elite, the devoted dozen, the Lord's own Dream Team. They are passionate about Christ and don't have much interest in sharing their mentor with the unenlightened masses. 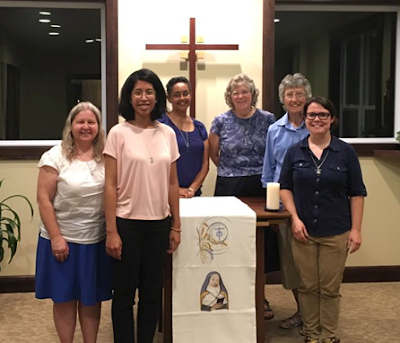 In Dayton, the FMI Sisters welcomed Emily Sandoval (second from left) as a pre-novice and in San Antonio, Leno Ceballos and Jordan Stewert began their aspirancy at the Casa Maria community. 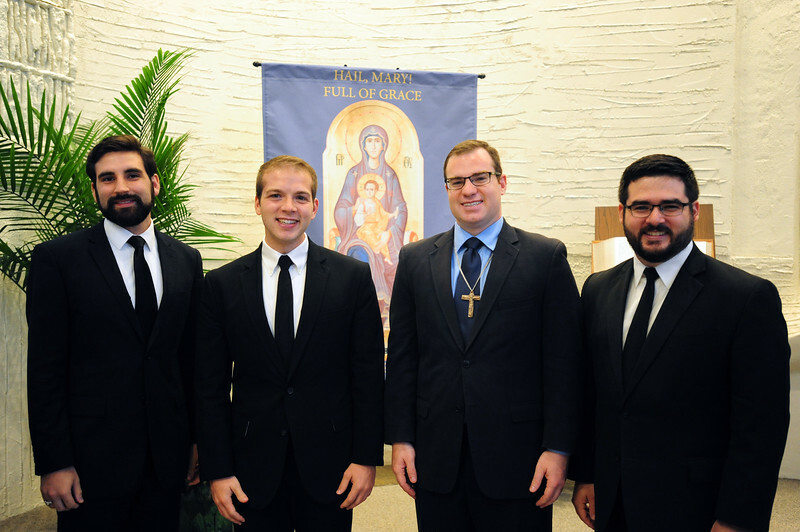 Please pray for these four newest members of our religious family that they may grow in their vocations and in their love of our Marianist life. 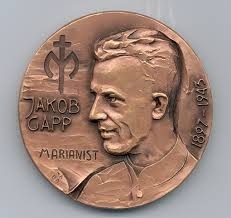 Blessed Jakob Gapp, SM, was truly an extraordinary person. He was someone with a passionate and unflinching commitment to the Truth. He was passionate about what he believed and his convictions moved him to speak out and to give his life. In the midst of World War II and the darkness of the Third Reich, he witnessed to the Light of Jesus Christ. Today, wherever we are and in whatever circumstance, we can witness to the same undying Light and Love, whatever the cost. “I rejoice greatly, dear brother, at the outstanding zeal that drives you to promote the glory of God. 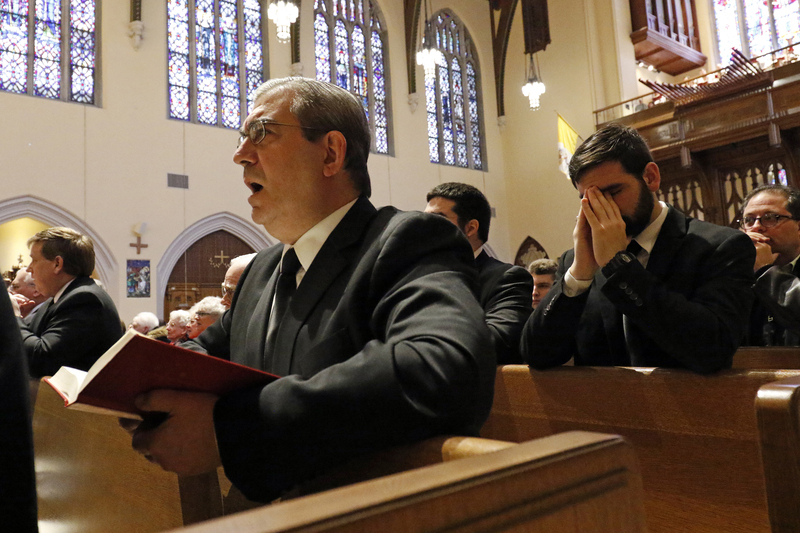 It is sad to see how in our times the disease called “indifferentism” is spreading in all its forms, not just among those in the world but also among the members of religious orders. But indeed, since God is worthy of infinite glory, it is our first and most pressing duty to give him such glory as we, in our weakness, can manage – even that we would never, poor exiled creatures that we are, be able to render him such glory as he truly deserves. Because God’s glory shines through most brightly in the salvation of the souls that Christ redeemed with his own blood, let it be the chief concern of the apostolic life to bring salvation and an increase in holiness to as many souls as possible. Let me briefly outline the best way to achieve this end – both for the glory of God and for the sanctification of the greatest number. God, who is infinite knowledge and infinite wisdom, knows perfectly what is to be done to give him glory, and in the clearest way possible makes his will known to us through his vice-gerents on Earth. It is obedience and obedience alone that shows us God’s will with certainty. Of course our superiors may err, but it cannot happen that we, holding fast to our obedience, should be led into error by this. There is only one exception: if the superior commands something that would obviously involve breaking God’s law, however slightly. In that case the superior could not be acting as a faithful interpreter of God’s will. God himself is the one infinite, wise, holy, and merciful Lord, our Creator and our Father, the beginning and the end, wisdom, power, and love – God is all these. Anything that is apart from God has value only in so far as it is brought back to him, the Founder of all things, the Redeemer of mankind, the final end of all creation. Thus he himself makes his holy will known to us through his vice-gerents on Earth and draws us to himself, and through us – for so he has willed – draws other souls too, and unites them to himself with an ever more perfect love. St. Paul urges the Ephesians to practice seeing their work as an opportunity for service to those in need. When we're practicing disciples, all of our work hours -- no matter what we do -- can be seen as a means toward the goal of advancing God's kingdom. We need to practice our speech as well. Loose and evil talk seems to be the norm in our culture, and it's easy for us to get caught up in it. But what would happen if, instead, we practiced saying nothing but "words that give grace to those who hear?" As disciples we must engage in the daily practice of disciplining our speech to reflect the building up of others rather than tearing down. Next, Paul warns against grieving the Holy Spirit, which seems to be another way of saying we violate our baptism and our role in building up the community in holiness. If baptism is the mark of the Holy Spirit on us, then we need to be reminded daily that our conduct and thought life should reflect the Spirit's presence in our lives. Paul sums up the argument by saying that if we're really practicing Christians, then things like bitterness, wrath, anger, arguments, slander and malice will eventually be "put away" and replaced with kindness, tenderheartedness and forgiveness. That will only happen through the discipline of practice. The true gauge of success, according to Paul, is that character mirrors God in the way that a child mirrors a parent. The ultimate example of that kind of success is Jesus. Saint Peter says, "Lord, to whom can we go? You have the words of eternal life. We have come to believe and know that you are the Holy One of God." In the context of what was happening that day, Peter's statement is remarkable. In effect, he was saying, "Despite the conclusion of all those who have turned away, despite the centuries of synagogue teaching, despite the improbability of any human being embodying the words of life, we believe that you, Jesus, have "the words of eternal life," and that you are "the Holy One of God." With his answer to Jesus, Saint Peter actually shows us quite a bit about the nature of faith, for clearly he is aware that Jesus' offer of eternal life has been discounted by the crowd. And he surely knows there is no proof to the contrary. But he's saying that based on what he and the other 11 have seen of Jesus, they are choosing to believe. He's showing the truth that believing in Jesus is always a matter of choice. Peter is kin to a great many Christians down through the centuries who have acknowledged to themselves, if not to others, that there are enough reasons not to believe in Jesus if that is what they conclude, but there are also reasons to believe. And they have made the believing choice.